Update 4 – the Spring Has Sprung Edition! Greenhouse Open House & Tours – May 25 from 9 am – 3 pm. Mark Your Calendars for Curbside Give Away Weekend – June 8 & 9, 2013. The Active Transportation Advisory Committee will be considering the staff recommendation for the development of north-south bike route on the peninsula. The recommendation is a result of an extensive public consultation process that considered five candidate routes. The staff recommendation supports approval of the Windsor-Vernon-Seymour bike route option, with the sub-option to continue the bike lanes up to the intersections of Almon Street and North Street, as the first of up to three designated north-south on-road cycling corridors on the peninsula. For further information on the candidate routes and evaluation process please go to: http://www.halifax.ca/boardscom/documents/Combinedreport.pdf The Active Transportation Advisory Committee will be discussing the recommendation at their May 16 meeting at Bloomfield Centre at 4 pm. 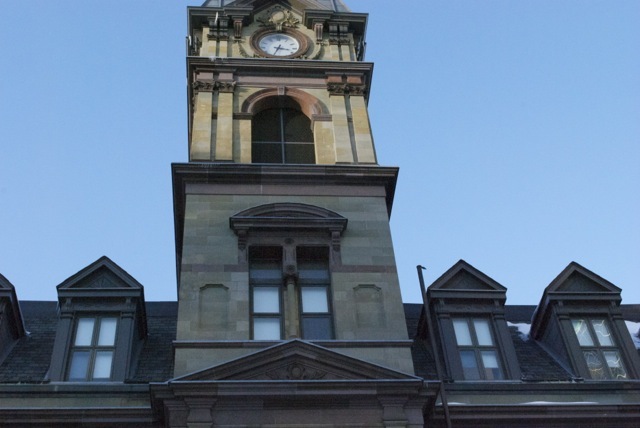 The ATAC recommendation will then be forwarded to the Transportation Standing Committee for recommendation to Halifax and West Community Council. Community Council will make a recommendation to Regional Council which will make a final decision on the proposal. Inspire – activities at the Shakeup will inspire participants to dream about what’s possible for Cogswell. Participants will have the opportunity to hear ideas and come up with their own. The event takes place on Thursday May 16th from 6:00-8:30pm, at the Harbourfront Marriott Hotel. Come play with us on Thursday, May 23 from 10 AM to 2 PM at the Emera Oval on the Halifax Commons. Enjoy the equipment playground and public works display. Rain Date: May 24th. Celebrate spring by visiting our HRM Dartmouth Greenhouses (62 Caledonia Road, Off Main Street) on Saturday, May 25. This program is back to celebrate the amazing community projects that bring people together in towns and cities across Canada. There’s no denying the program’s impact – to date, it has helped 40 communities with a total of $1,000,000 toward improving an existing space or helping create a brand new one. Canadians are invited to nominate the incredible places they live for the chance to win $25,000 toward a community project. The submission process is simple and you’ve got between now and June 7, 2013: Log on to www.kraftcelebrationtour.ca for step by step instructions. It’s time to reduce clutter and reuse things you no longer need by recycling your clean and working goods. For the next few weeks, District 7 will play host to students and families as they celebrate university graduations. HRM is a richer place because of the many students who choose to pursue higher education in our community. Congratulations to all who are graduating! HRM recently celebrated volunteer month by recognizing some of the people who spend countless hours making our community a better place. In District 7, Emily Jones, Samantha Miller, Gerry Pettipas, and Rick Power were recognized for the great work they do. For more information about volunteerism in HRM, visit http://www.halifax.ca/volunteerservices/index.html . This summer, free swimming lessons and Bronze Medallion, Bronze Cross, and junior lifeguard programs will be offered at all HRM beaches and the Halifax Common Outdoor pool. Registration is required to take part in the classes and will start at 10 A.M. on June 5, 2013 and continue until classes are filled. Participants can register at: https://eservices2.halifax.ca/recconnect/Activities/ActivitiesAdvSearch.asp, or by phone 490-6666, or in person at an HRM-operated community recreation centre.